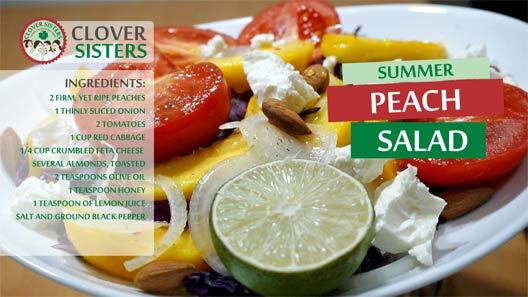 This stunning homemade salad with soft sweet fresh peaches is a delight and one of my favorite summertime dishes, simple enough to be delicious and beautifully light weeknight meal. In a large bowl, add the peaches, onion, tomatoes, greens, feta cheese, almonds and gently toss. Drizzle over with extra virgin olive oil, honey and lemon juice, season with salt and freshly ground black pepper and toss again. 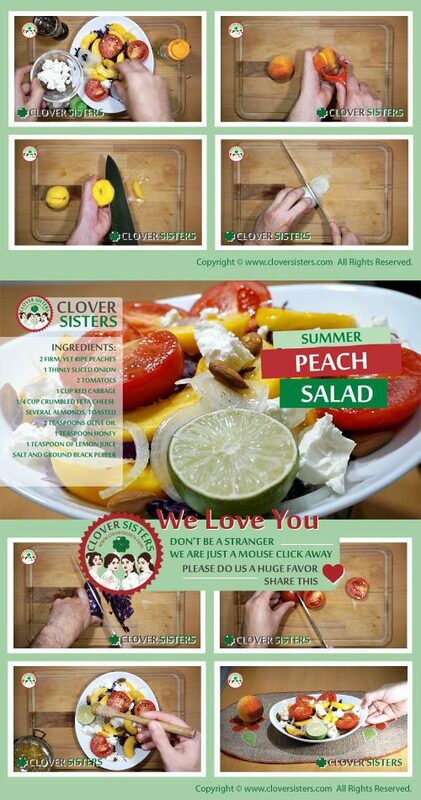 Divide salad onto plates and serve immediately.